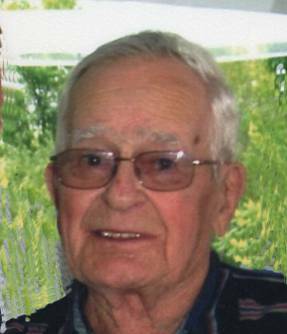 Swanton – Norman S. Vosburg a longtime area resident and dairy farmer passed away, Saturday, August 26th, 2017, at the Franklin County Rehab Center surrounded by his loving family. Born at home in St. Albans on August 13th, 1929, he was the son of the late Sanford and Almedia (Erno) Vosburg. Norman was 88 years old. On June 9th, 1951, he married Arlene Sheehan, who survives him. Norman worked for Krupp’s Auto Body from 1951 to 1958 except for when he served his country in the United States Army with Headquarters Company 434 from 1951 to 1953, during the Korean War. He was stationed in Korea for 19 months. 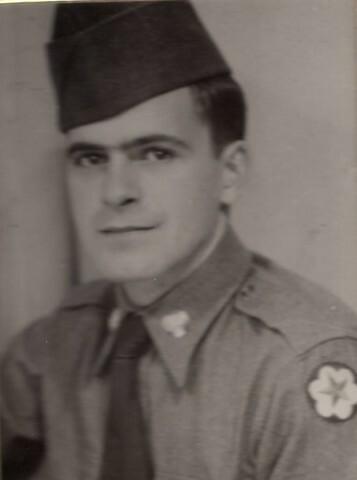 Norm was awarded the Korean Service Ribbon, 3 Campaign Stars and the UN Service Ribbon. He received his honorable discharge on June 5th, 1953, with the rank of Corporal. On November 1st, 1958, he moved to the Bushey Road and made his life in farming. He farmed alongside his son, Mark, all of his life. Norman is survived by his wife of 66 years, Arlene; daughters, Norma (James) Manley of New Bern, North Carolina and Patricia (Lee) Spaulding of St. Albans and son, Mark (Cecile) Vosburg of Swanton as well as his grandchildren, Matthew (Liane) Spaulding of Georgia, Vermont; Benjamin Spaulding of Boston, Massachusetts; Sara Vosburg of Pittsburg, Pennsylvania and Emily Vosburg of Swanton, Vermont. He is also survived by his sisters, Pauline (Neil) Mazza of Washington, North Carolina and Joyce Vosburg of New Milford, Connecticut. Calling hours will be held on Friday, September 8, 2017, from 12:30 to 1:30 PM at the Heald Funeral Home, 87 South Main Street, St. Albans. A graveside service and military honors will follow at 2:00 PM at the St. Albans Bay Cemetery, Lake Road with the Reverend Megan Stowe officiating. In lieu of flowers, memorial may be made to the American Heart Association, Founders Affiliate, P.O. Box 417004, Boston, Massachusetts 02241-7005 or to a Charity of one’s choice. To send the Vosburg family a condolence message or share a memory, please go to his on-line guest book at www.healdfuneralhome.com.